And what a machine this is. 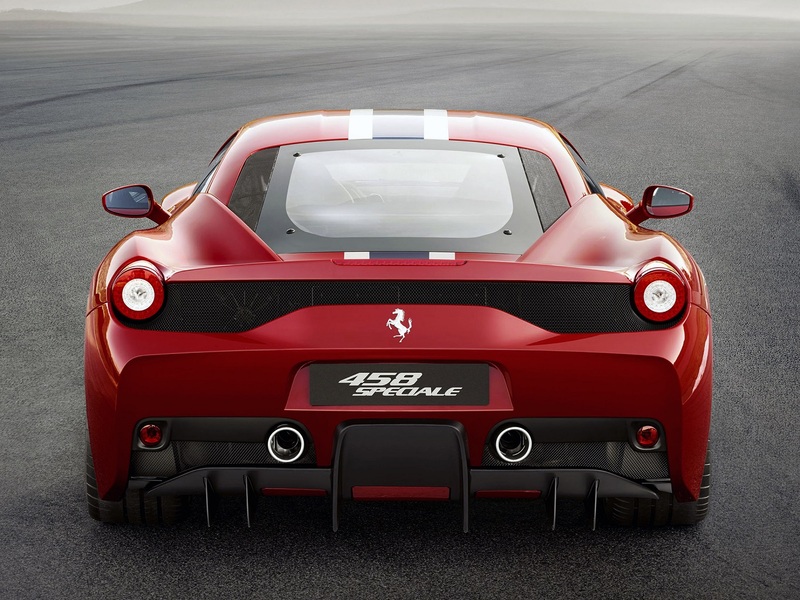 The 458 Speciale has the most powerful atmospheric engine ever produced by the Italian brand. The 4.5-liter V8 generates an impressive 605PS (445kW or 597bhp) @9000rpm and 540Nm (398lb/ft) @6000rpm, allowing the car to accelerate from 0 to 100km/h (62mph) in 3 seconds and will take 9.1 seconds to reach 200km/h (124mph) from standstill. 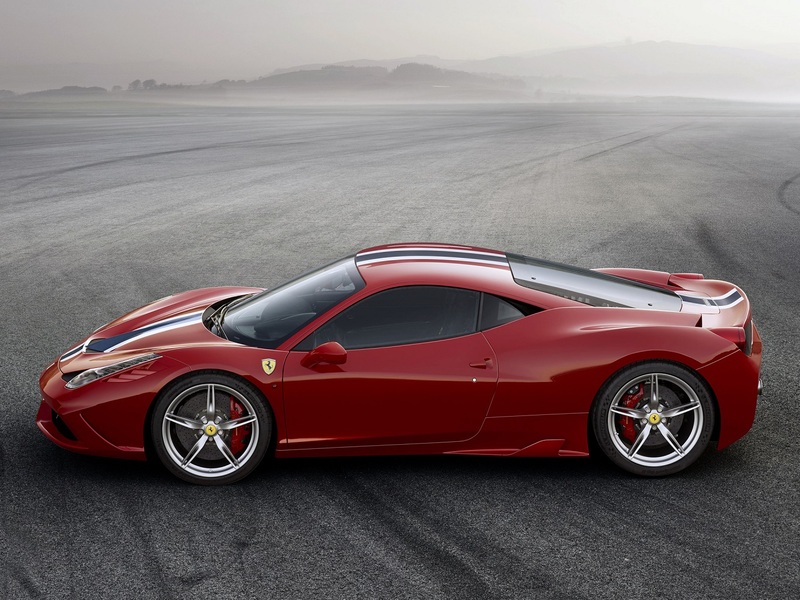 Another new record is the 1.33g in lateral acceleration. 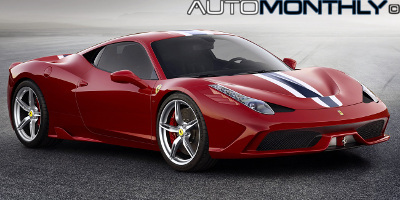 This achieved thanks, in part, to the active aerodynamics with several innovative solutions. 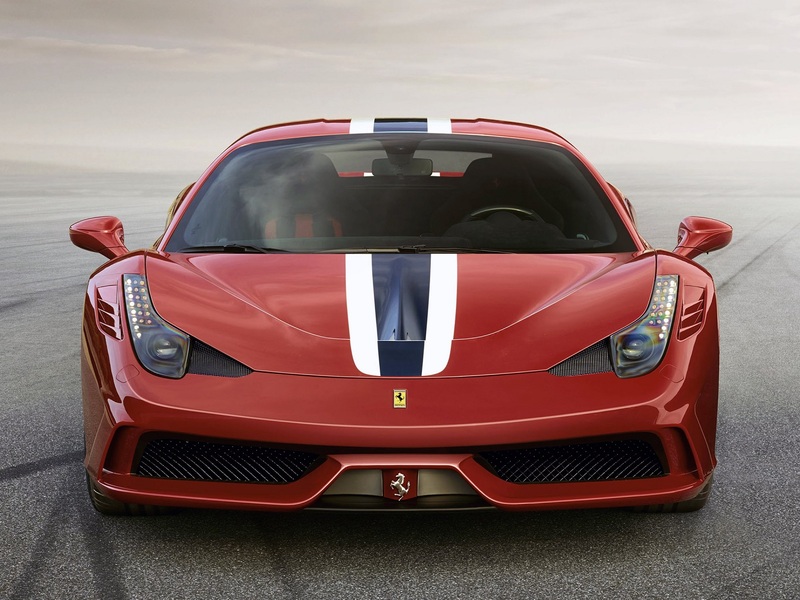 The front and rear were redesigned to feature things like movable flaps to reduce drag and raise downforce when the speed increases, side vanes, rear diffuser and a new spoiler. The use of lighter materials such as carbon fiber, allowed the car to lose 90kg (198lbs), meaning it now weighs 1290kg (2844lbs). 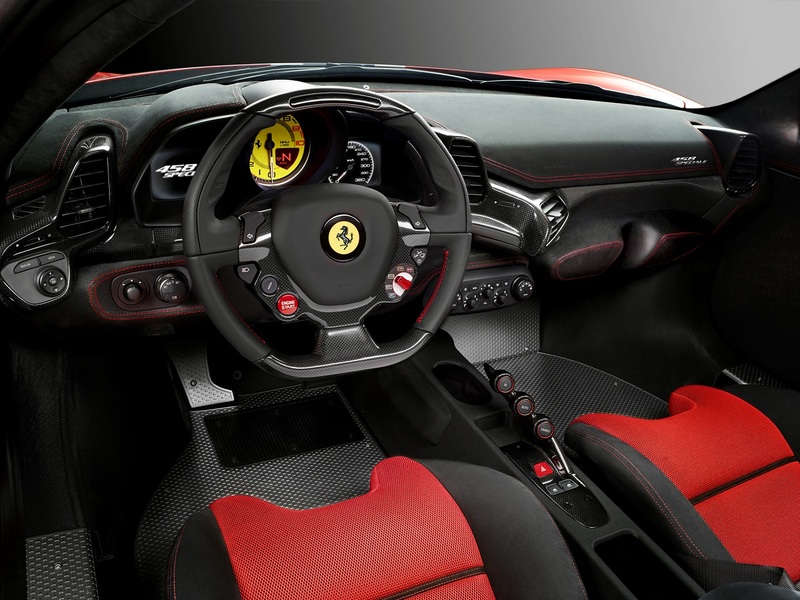 The interior also suffered a few changes, and is now a little more "naked". 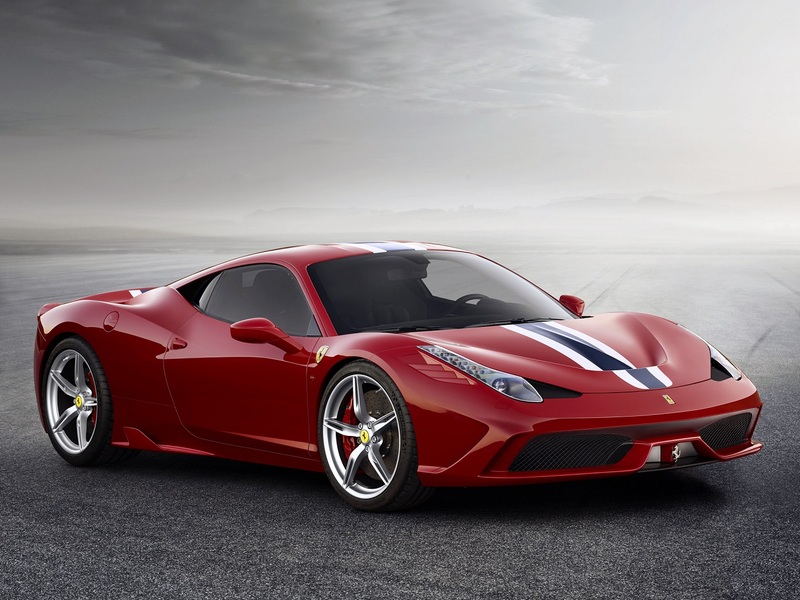 The seven-speed dual-clutch gearbox also had a few tweaks, and so did the suspension, meaning the 458 Speciale can now do the Fiorano race track in a little over one minute and 23 seconds.